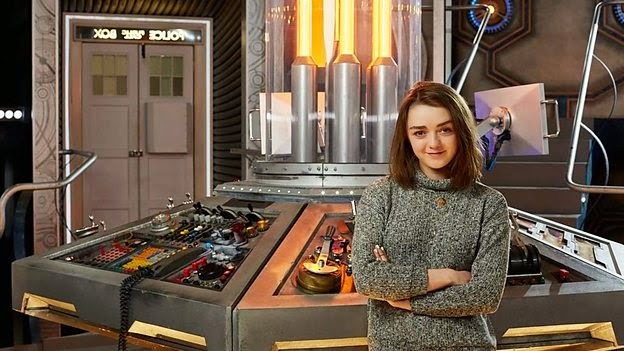 From Game of Thrones to Doctor Who - Maisie Williams to Guest Star in Series 9 | Warped Factor - Words in the Key of Geek. Bursting with drama, wit and heart, the show continues filming with two period adventures - The Girl Who Died written by Jamie Mathieson and Steven Moffat, and The Woman Who Lived by Catherine Tregenna. Starring Peter Capaldi (The Doctor) and Jenna Coleman (Clara Oswald), the duo continue to time travel through epic adventures directed by Ed Bazalgette (BBC One’s 18th-century drama Poldark). Doctor Who has had a decade of success since its re-launch and is one of BBC One’s most highly regarded dramas. The much-loved brand is already a phenomenon delivering on a global scale, with the last series’ (series 8) consolidated average at 7.4 million. The BBC Cymru Wales-produced drama will return to BBC One this autumn with further casting to be announced in due course.